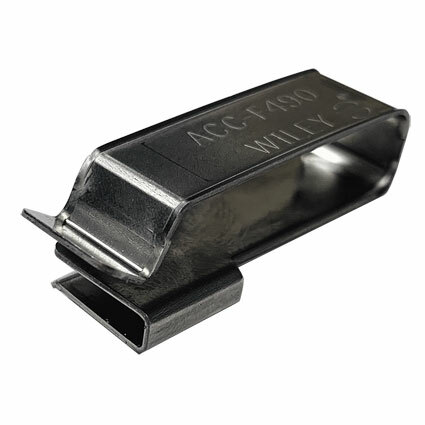 The ACC-F490 wire management clip is made of corrosion resistant 304 stainless steel, which makes them a durable, long lasting and reliable solution for all environments. It's easy to install and slides 90 degrees on to module frames of various thicknesses. It accommodates 1 to 4 PV cables up to 8.0mm in diameter. The rolled edges are designed to help protect cable insulation from damage. ACC-F490 clips are the perfect solution for keeping the PV installation neat, clean, and free from ground faults. BURNDY Cold Shrink Tubing is a quick and reliable way to insulate connectors, add inspectability and save labor costs. Similar to BURNDY clear heat shrink, clear cold shrink tubing provides visual inspection to verify die embossment, correct number and location of crimps, and ensure proper strip length (no wire exposed). The CONSTRICTOR™ Ground Connector to Steel, GCS26, is used to ground cable to steel in applications where drilling is either not possible or unwanted.